When it comes to getting creative with lighting, cameras on smartphones are limited what they can do. So if you want to take atmospheric, creative, well-lit shots you’ll need the right kit for the job. 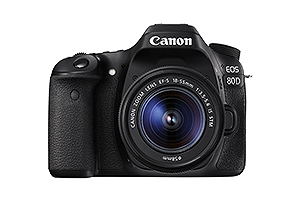 A Canon DSLR with Integrated Speedlite Transmitter like the EOS 80D, combined with a Speedlite flash, allows you to creatively control lighting to produce stunning images whatever the conditions. Watch the video and see our suggested kit list for being creative with lighting. EOS 80D is a powerful, versatile and responsive DSLR that offers everything you need to stay in control and develop your photography. It excels at sports, portraiture, landscape, street, travel and low light photography, as well as serious movie making. Combine it with a Speedlite 430EX III-RT flash for greater creativity in low light situations and to produce striking results of whatever you’re shooting. 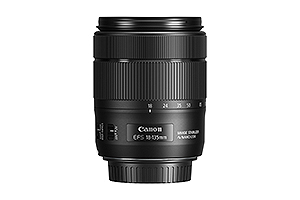 The EF-S 18-135mm f/3.5-5.6 IS USM lens is a versatile zoom lens that's great for shooting portraits, sports and movies. Its compact, lightweight design and uncompromising quality also make it the perfect lens for travelling with. The fast and accurate focus will help you capture stunning spontaneous shots, while its smooth and quiet focusing motor ensures that your movie soundtracks are undisturbed by focusing noise. A powerful and versatile flash, the compact Speedlite 430EX III-RT will expand your shooting options in any light situations. 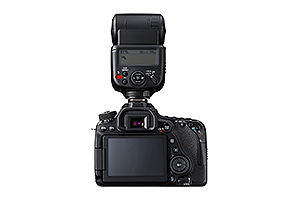 With a compatible camera, like the EOS 80D, you can adjust all aspects of the flash, including flash power settings and custom functions, from the camera menu. You can even place it away from your camera and control it via EOS 80D’s Integrated Speedlite Transmitter. With the above kit list, you’ll have everything you need to capture detailed portraits, sports shots or street scenes in all sorts of conditions, even low light ones.